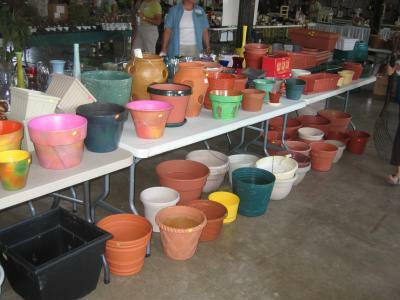 University of Illinois Extension Master Gardener volunteers of Sangamon and Menard Counties are sponsoring a Garden Garage Sale. The event will be Friday, June 10, from 9am to 1pm, at the U of I Extension Building, 700 S. Airport Drive, Springfield. Driving directions can be found at U of I Extension website at http://web.extension.illinois.edu/lms/ . Bird feeders, garden books, many sizes of terra cotta clay pots, and other garden-related items will be available. Admission is free and the event is open to the public. Master Gardener volunteers also invite you to donate garden related items for this event. Drop off for the sale will be Monday, June 6, to Wednesday, June 8, from 8am to Noon. Examples of items to donate include planters, books, patio furniture, fountains, garden tools and clothing with a garden theme. Proceeds from the sale will be used to support various demonstration gardens, and provide hands-on garden education projects for area youth and adults. If you have questions call (217) 782-4617.